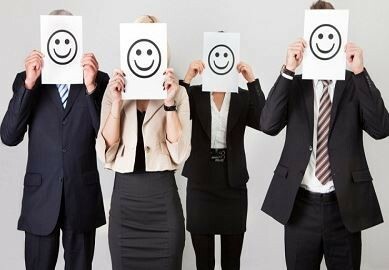 Five Ways To Keep Your Employees Happy | Be "Noticed"
Five Ways To Keep Your Employees Happy. The happiness of employees should be a major concern for any manager or business owner. Employees are often your company’s most important resource. Unhappy employees will make mistakes, have a negative attitude and work less efficiently. Happy employees will be highly productive and supportive of the brand and business goals. There are five ways to keep employees happy. Employers should be flexible with scheduling as long as it does not interfere with core job duties. Flexibility means providing time off to handle an emergency or unexpected life event. It can also mean adjusting hours temporarily so employees can keep appointments with doctors or teachers. This is especially important if you have employees with children. Children are much more apt to get sick and have emergencies that require their parents to miss occasional days of work. Providing a little flexibility will keep employees happy. Something that can quickly reduce morale and make employees unhappy is if feedback is consistently ignored by management. Employees are the members of the company that are down in the trenches, and they might notice things that the big wigs in the head office don’t. Employers should make every effort to respond to any feedback from employees especially if trends start to appear in the comments. The response could be a face-to-face meeting, an email or a small note left on a desk. This will make employees feel appreciated, valuable and happy and could even help improve the way your company does business. Employees can quickly become apathetic and uncaring about a job if good performance is never recognized and rewarded. Employees who stop caring no longer take ownership of the position. These workers can become less productive over time. Rewards for good performance could be publicly presented certificates, financial incentives based on sales or prizes from weekly contests. Acknowledging good work and exceptional performance will keep employees happy and motivated. Employees who only learn about changes to the business when something is going wrong will not be happy. This can create a cynical outlook about the company that alienates workers. Managers and business owners should keep employees informed about the state of the business, any upcoming changes and plans for the future. This can be done in a weekly newsletter or through a monthly meeting with the entire staff. Keeping employees informed creates loyalty and encourages trust. Something that can destroy trust and make employees very unhappy is when paychecks are not delivered on time. Business owners should take every step to make sure there are no delays or unexpected problems when it comes time to print checks. It is helpful to order computer checks long before supplies start to run low so paychecks can always be printed on time. Payroll and accounting systems should be automated to run payroll early. That way you don’t have to give the issue any extra thought. Consistently delivering paychecks on time will keep every employee happy.